Waterfalls in Idukki add up to many, so the challenge is to decide the right fit for your travel and tastes. Munnar has several waterfalls in the outskirts. Some of them are ideal for honeymoon trips and family vacations. If you are an adventure seeker, Idukki has waterfalls deep within the forest to answer any urge for wild danger. During summer months, the general rule is to check before you go. As water dries up, many falls may not be worth visiting.There are some exceptions where the scenery is so awesome even in the absence of water. Thommankuthu is one of the best waterfalls in Idukki. It has been developed as an eco tourism destination where you could engage in a range of activities. There is avenue for rock climbing, trekking, camping, fishing, boating and horse riding near the water fall or in the wider locality. Willingness to explore will soon educate that you are in the very hands of unlimited fascination. There is a jungle path which leads to 10 waterfalls in a 12 km trek! If that is too good to be true, hang on, there are several caves and view points, to further entice the explorer in you. If you are not ready to take up such extra challenges, the bottom fall, Thommankuthu, is itself a multi-stepped cascade in the middle of refreshing surroundings. Consider Keezharkuthu (also called Rainbow falls) only if you are up to the challenges of a serious 10 km jungle trek. Plan in advance because you need to be escorted deep inside the jungle by tribal people. Vigil is a must since there are all sorts of animals including elephants. The experience will awaken you to what a forest is all about - the intricacies and the simplicities of the web of life. The 200 ft fall is voluminous, never dries up and is a gem of the jungle. The trek starts at Malayinchi, a village in Western Idukki. The nearest towns are Udumbannoor and Karimannoor and a larger regional town is Thodupuzha. Feel disadvantaged because of a ‘low risk profile’? Feel uplifted at Attukal, an easy to reach waterfall where a silvery stream cascade down rocks, forming pools here and there. You can opt for a 3 km walk from the main road or take vehicle right up to the waterfall. The best part of Attukal is the scenic surroundings. May even feel that the waterfall is just an excuse to reach this awesome place. For that reason, nothing wrong to visit here even in summer, when the water flow has dried up. Get a tea from the shack-cafe nearby, settle on a rock and enjoy. You can only see the waterfall, there is no scope for swimming or playing in the pool. Chithirapuram and Pallivasal hydroelectric project are travel attractions in the neighbourhood. Life continues as usual at Cheeyappara, the landscape hit hard by the harsh landslides of 2013. 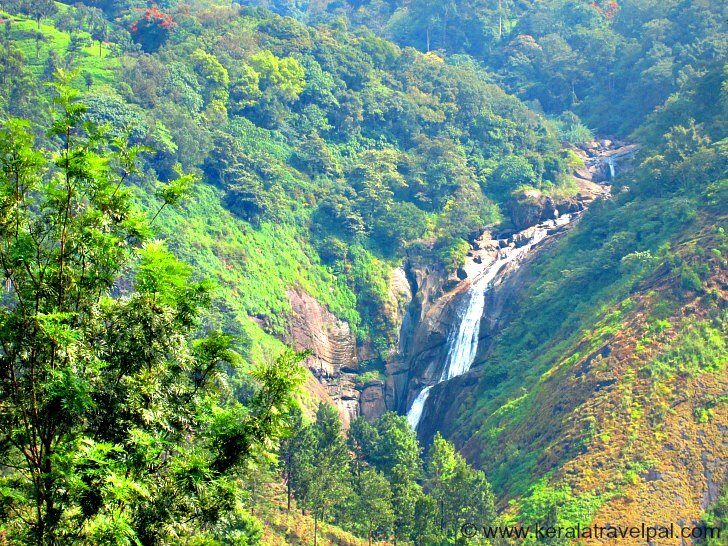 Cheeyappara is a road side cascade, a spectacular sight to those travelling on Kochi-Munnar highway past Neriamangalam. If you want to take up this part of the world beyond a passing fancy, have a temporary halt for a couple of days to explore the land by foot. Deviar River that plunges at Cheeyappara is the creative force behind several other small waterfalls, not listed in any tourism maps. Valara falls, however, is well known as a sparking presence amidst a scenic setting. Thoovanam, one of the most spectacular waterfalls in Idukki, is not in a locality where you see huge crowds. The waterfall, located deep within the wilderness of Chinnar Wildlife Sanctuary is a tough cookie, even if you keep aside a couple of hours. The trek itself will take about an hour one way, let alone the time to enjoy the thundering cascade, refresh at the shades and spot some wildlife. So make sure to keep aside enough time, because there is every possibility that you are going to like this one. Chinnar Sanctuary is one of the important animal shelters of the region, ideal for sighting elephants and a range of other wildlife. Also to consider is extending your trip to Kanthalloor and Marayoor in the outskirts of the forest. Lakkom is one of those waterfalls, where size is overlooked because of sheer beauty. Sit on one of the rocks projecting from the water, have a splash in the pool or spread your picnic mats in the shade. Lakkom waterfall is on Munnar to Udumalpett Road, at an easy hike away from the car park, well suited for couples and families with children. Chellarkovil is a small village picturesque enough to create a lasting impression. The waterfall is an added plus. Situated in South Eastern Idukki, the waterfall is right on the state border. Top of the waterfall is in Kerala, while the bottom splashes into the welcoming vista of Tamil Nadu. This waterfall is a good choice if you are holidaying near Chellarkovil village. Lengthy travel, just to see this fall may be disappointing. Nayamakad (Nyaymkad) belongs to Rajamala region near Munnar, well known for its trekking trails and tea gardens. The higher slops of misty mountains offer unsurpassed views of the green valleys, much to the pleasure of the photographer in you. The hike to the fall has its restrictive factors. If you manage to reach here during your Munnar holidays, there is certainly enough of peacefulness to settle you down for a couple of hours. Chinnakanal, a village near Devikulam, is blessed by natural grace in abundance. The waterfall fits well with everything else that nature has created here. 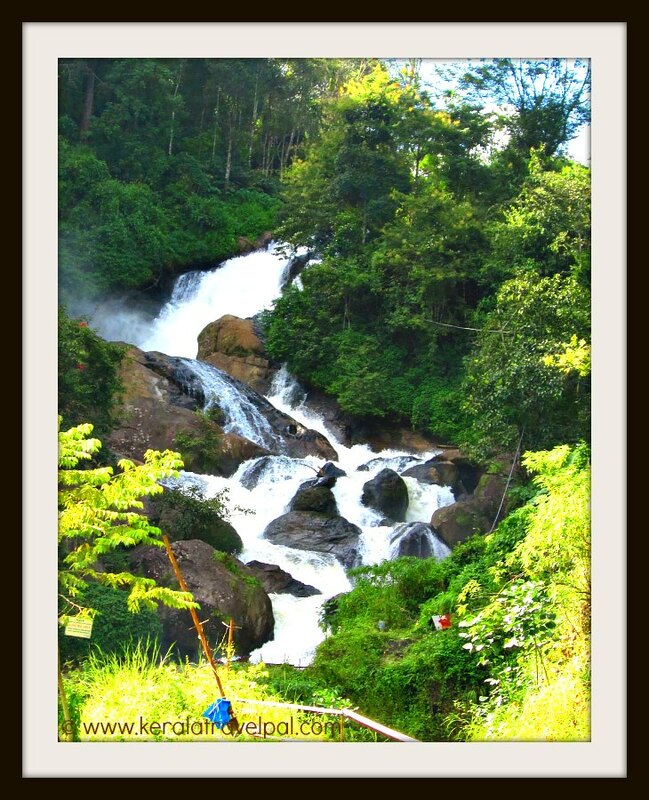 This waterfall, a local highlight, is good enough to include in your plans if you are holidaying at Devikulam. You can arrive here from Munnar too. The waterfall alone may not justify the trip, stopping by at Devikulam along the way will. Kolukkumalai is another attraction in this region. The wild run of a small brook is challenged by rocks, small and large, all along the way. The plunge is spectacular - a curvy cascade of sparkling white along rocky contour. This place is so awesome, unpack your picnic bags and enjoy your time amid the rocks. The stream may dry up during summer (March – May). Check locally before you make travel plans during that time. Without water, this place may only be a shadow of its former self. Kuthumkal is near Rajakkad, south of Munnar.